It's coming to the end of the month and I still had quite a bit left of my take on the Counterfeit Kit for January, so I thought I'd make a few cards to use up some of that stash. 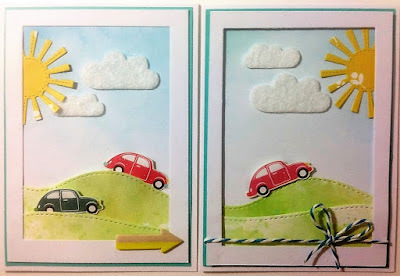 The little cars were fussy cut from this fun patterned paper (Echo Park Summer Fun "Road Trip"), the clouds die cut from felt, and the hills die cut from watercolour paper which I randomly painted in shades of green. 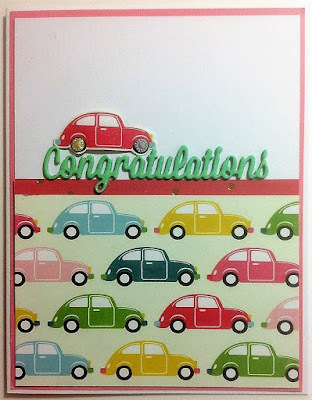 I really enjoyed playing with this paper, so I made one more card with it, this time as a congratulations on passing your driving test - which I guess is kind of a new beginning isn't it? I die-cut the word several times and glued them all together to create a more dimensional piece - fiddly but worth it - you can't really see in the photo, but I added clear Wink of Stella to the car and the word, very pretty IRL. 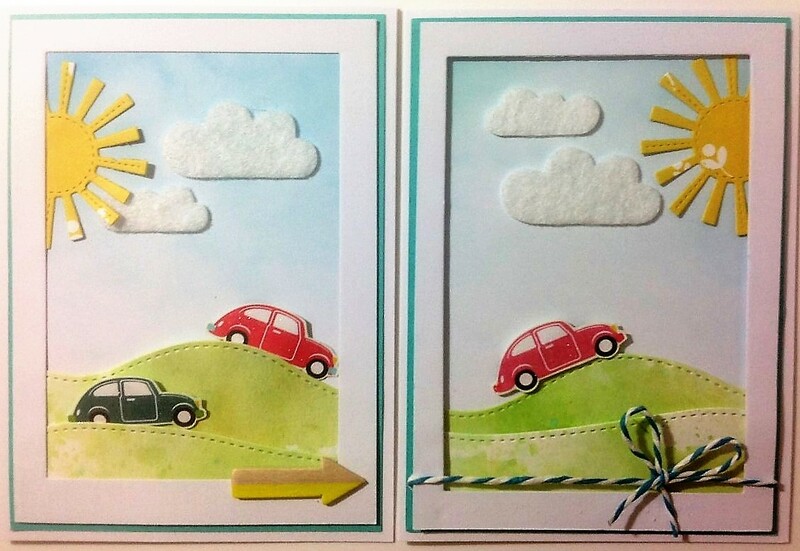 Lots more diecutting here - my Cuttlebug has been getting quite a work-out this month! - the oval piece, leaves and bow were all cut from paper scraps. 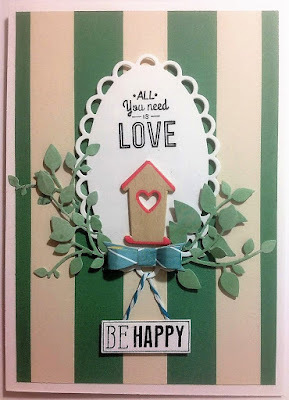 I added two stamped sentiments to this one, and I thought it was a fun touch to "hang" the bottom one from the frame. It's almost time for the big reveal of the new Counterfeit Kit for February, so I can't wait to see what they've come up with to inspire us this month. I'm really enjoying making cards at the moment, so I may try a mini kit specifically for card-making, perhaps use up some of those smaller scraps - watch this space! 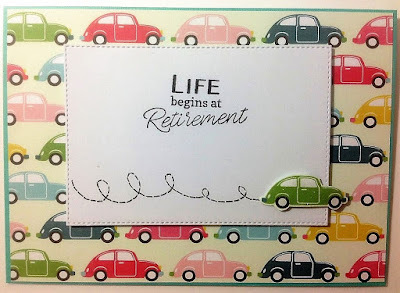 Fun cards Annie! 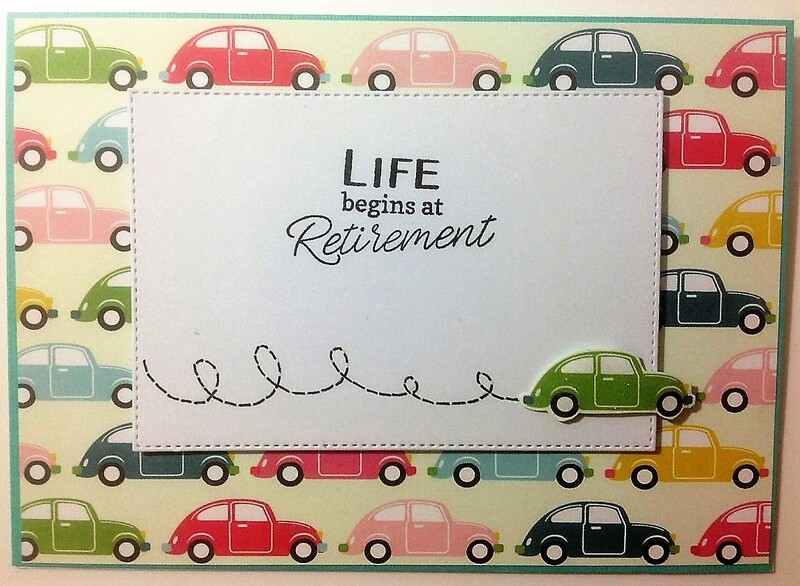 I LOVE the Life begins at Retirement card...it's so true!! What a sweet collection of cards. 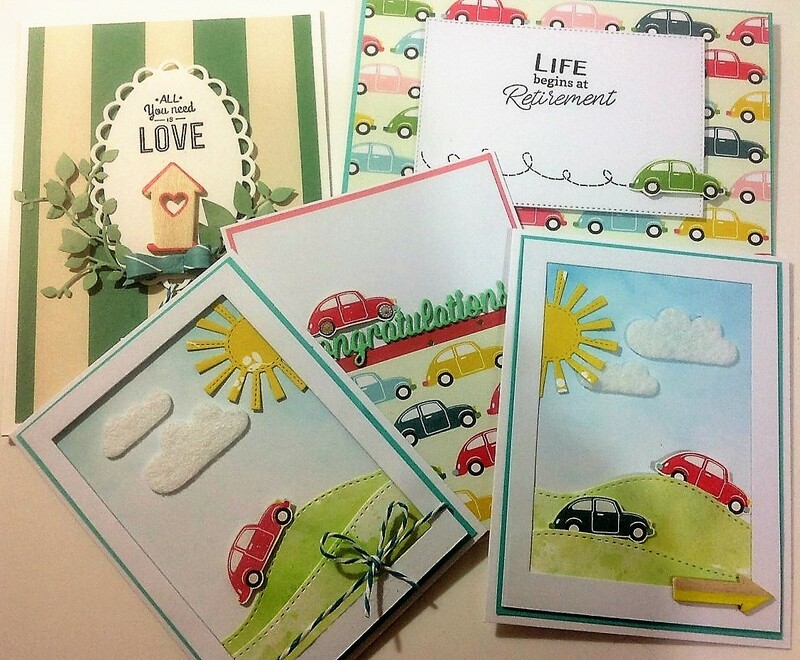 I remember doing a version of the first ones in your post, with the cars on the hill for a friend's 40th birthday. I added a 40 speed limit sign and the sentiment said 'Over the Hill'. These cute cards really float my boat. Such fun for children and adults alike. Love the VDubs.